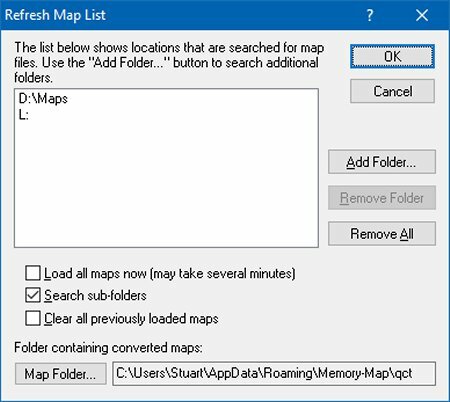 I’ve been a Memory Map user for several years now and I’ve helped quite a few people get to grips with the idiosyncrasies of the program, because although it’s a Windows application, it doesn’t behave like one in several important ways. The help I’ve provided has spawned a parallel user guide to the one that’s provided by Memory Map – one that covers some of the issues that first time users come across and struggle to find answers for in the MM Help files and on-line manual. 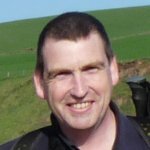 I’ve decided to publish this guide on this blog – in a series of articles over the next few weeks and perhaps as a result, it will find use in a wider audience than it has so far. If anyone has any suggestions to improve this then please let me know, if I have made any obvious errors then tell me and if you’d like to contribute then either leave a comment or email me and I’ll make sure that the downloadable version is updated. I’ll make the final edition available at the end of this series of posts. If I think of any more topics before I’ve finished publishing these articles – or if anyone suggests something I’ve forgotten, I’ll add these at the end. Memory Map v6 (hereafter referred to as MM) software is free to download. In what appears to be a change from previous releases, the new version is international. 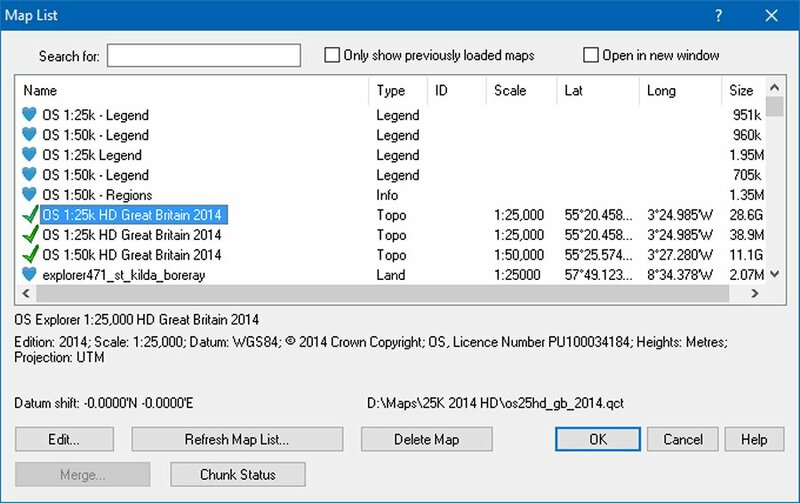 MM v5 had a European Edition to support Ordnance Survey (OS) maps, but this new version is just Memory Map and is downloaded from the US website. 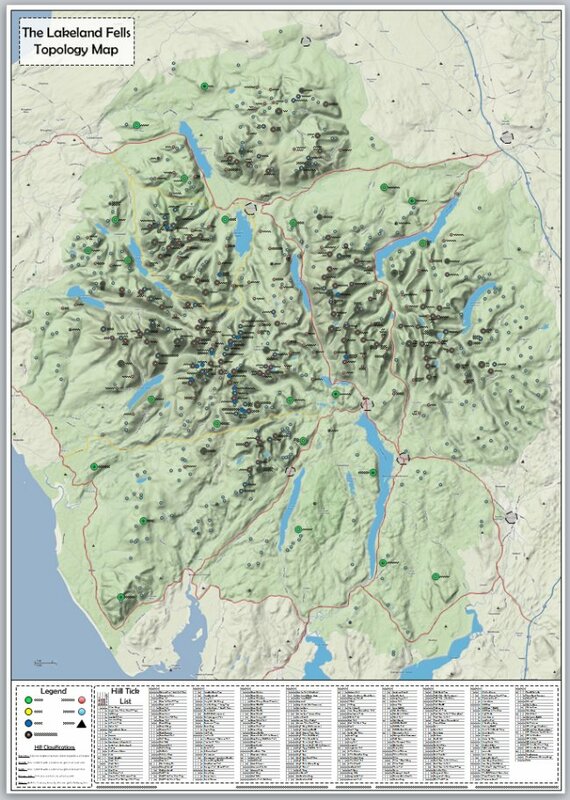 For those outside of the UK; Ordnance Survey maps are the ones typically used by hikers and walkers in this country. These may change I guess, as this announcement is brand new. The MM software itself is provided free, but it’s absolutely no use whatsoever without some maps. You do get a sample map with the free download but nothing usable of course. So what do we buy? The answer is the maps. You buy a right to use, on a restricted basis, the OS maps. Depending on what scale maps you want and how much area you want will determine how much the “software” as a whole costs you. MM v5 maps can be found everywhere, both on-line and in high street outdoor shops, or indeed direct from MM themselves. Prices vary wildly of course and the best advice is to shop around. I tend to buy from Amazon, unless I see a particularly good deal somewhere else on a map I currently need. Once you buy a map you have a license key for the MM software and future map purchases are associated with this license. There are two types of MM maps – QCT maps and QC3 maps. Both types work with MM v5 and both types will work with MM v6, but you will need to purchase an additional license to use the QCT maps with the new version. I cover the differences a little later in this guide. In the past couple of years prices of digital OS maps have plummeted, so it’s much, much cheaper to buy large areas of detailed mapping than it was. For example, when I first started using MM in 2005 it would have cost around £3000 to buy all the UK 1:25k scale OS maps. You can now buy them for £300 (or less, if you keep an eye out for special offers). The new maps are much better quality too – look for the ‘HD’ maps when buying. 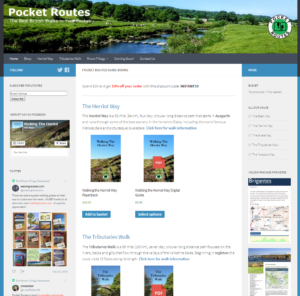 Maps can be bought through Memory Map’s own Digital Map Store (DMS), but to be honest, if you’re going to buy the whole of the UK, get it on a USB Memory stick – it will save you a 30Gb download! Although you won’t find many of them available anymore, please make sure you don’t buy an old MM v2004 map, as these won’t work with the MM v5 (or v6) software we are discussing here. MM v6 will read all your v5 files though, as OS seem to have changed their terms and conditions, so that we can continue to use the products we have purchased – not before time too! 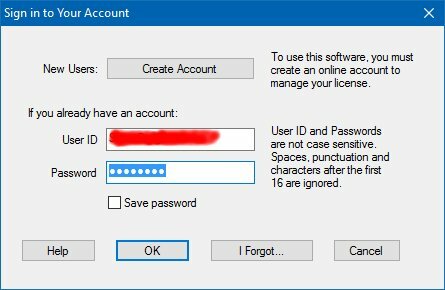 Download the software (and register for a 30 day trial license if you wish) and install it on your PC – it’s a very simple installation – just follow the wizard and take the defaults unless you want to install it somewhere other than “Program Files”. Don’t worry about disk space at this point; the program is quite small. It’s the maps that take up all the room and you can store them wherever you like. If you bought a MM v5 map from Amazon or eBay or Go Outdoors for example, then you probably have a DVD or USB stick with the maps on. If you have enough disk space, copy all the files from this media into a folder somewhere on your hard drive. If you‘re buying maps piecemeal, rather than the product for the whole of the UK, then it may be worthwhile creating a directory structure for them. I have a /MAPS folder and beneath that I have /EXPLORER and /LANDRANGER for the 25K and 50K OS map types. I also have /NATPARKS for the National Park maps I’ve got. In there I’ve got Lake District and Yorkshire Dales maps. Anyway I’m sure you get the idea. If you don’t have enough space, you will need to keep swapping the map media in and out of your PC to read the maps – this can be a right pain! Make space if possible, or be selective about which maps you copy to the hard drive. Once you’ve got the files onto the hard drive, run the program and select Map> Map List.. from the menu bar. The dialog box below will open. But yours will be empty! Click the [Refresh Map List] button and this dialog box will appear. Use the [Add Folder] button to navigate to the folder(s) you created and loaded the maps into. When you have all the folders in the list click the [OK] button; you will be returned to the first dialog box and this will now be populated with the maps from your hard drive. You can double click one of these maps to open the map in the MM program. We will come back to maps shortly – in the meantime, lets look at MM file types. There are four main MM file types, two map types and two supporting file types. The map files can be very big, much bigger than the other file types. Individual map tiles can be as small as 5-10Mb but the whole of the UK will take up considerably more – potentially, tens of gigabytes of space! .QCT files are the older format maps. These have no copy protection on them, so you can share them with friends (although of course, you shouldn’t). They typically come in smaller sections, such as National Parks or regions. An average Explorer size sheet of mapping will take up 30-50Mb. .QC3 files are the new format maps. These are protected by a form of Digital Rights Management (DRM) and it’s not easy to share them between computers, other than the 5 devices which you get a license for. See below for more on License Management. .QED files are the files holding the elevation data for the maps. Elevation data is the data that provides the map with the height at any point on the map. When you load a map into the program you will see the height given against the mouse cursor as it moves around the screen. This is the data that allows for the 3D visualisation of our maps and for calculating the height gain of a route. .MMI files are the database files that hold the names and references of searchable information on the map. MMI data is used when you type CTRL+F in the product and then type a hill name or a town name etc. .GPX files are much more transportable data files and the file format is ‘open’ and used by many different digital mapping programs. If you’re technically minded, they look a lot like XML files and can be edited manually, unlike MMO files. The size of the data files depends on what you’re storing in them, but 3Mb is a very big file and will take a long time to load, even on a high spec PC. MM v5 introduced a new licensing method and this hasn’t been changed as far as I can see in v6. You are allowed to install MM on two different PCs – for example a desktop and a laptop. You are also allowed to install on three mobile devices, perhaps an Android phone, an iPhone and an iPad. In order to install on one of these devices you need certain activation rights, which are given to you when you buy a map product. Buying more maps doesn’t give you more activation rights however. When you install on a device, you need to connect that device to the MM server and register it, pulling down the appropriate activation rights at that time. Once you’ve used all your activation rights you can’t install on more devices, without ‘recovering’ or ‘migrating’ rights from an unused or retired device. The system is a pain, especially as if you re-install Windows, or upgrade to Windows 10 (for example) as MM sees that as a new device. This shows all the products on the PC that need a license. Use the [Sign in] button to login to the MM server with your details. Once you’ve logged in you can Activate a product, provided you have sufficient activation rights left. Use the [Activate] button to do this. If you don’t have enough rights you’re going to need to migrate or recover one from another device. Click the [Online Info] button to jump to the MM license management page on their website. This gives you an overview of the devices you’re installed on. It also allows you to re-use these. Recover and Migrate do pretty much the same thing, but migrate moves the activation rights from one known device to another. It therefore requires you to have used MM on the new device, otherwise it’s not going to be in the list for you to migrate to. Recover, simply removes a device from the list of activated licenses. Once it has connected to the MM server again, it will find it has had all its rights revoked and most of the MM features aren’t going to work – including the ability to open most of your maps. How can I get the routes I create in the MMv5 on the PC to show in the pocket PC version.? There is no feature to load overlays so I am stumped! Ahh, now you’re testing my memory! It’s been many years since I used the PPC version of MM. I certainly don’t think there was any sync mechanism, I guess you will need to manually copy the files between the PC and mobile device. A cloud storage account supported by both devices would probably be the best way – Google Drive maybe – no idea if the PPC supports that though? It seems there is a .mmo file in the MM install directory. called something like user_data.mmo. You have to replace this file with the .mmo file containing the routes (and other mmo info) that you wan to use. Stuart, I really like your manuals for Memory Maps. I have an issue with exporting waypoints. I can ingest waypoint files from my Garmin 650T and display/edit the file in Overlays. But when I want to send the cleaned-up file back to the Garmin device it won’t recognize it. I save the MARKS firstly as a gpx file on my PC then push it to the device. This was the suggestion of tech support at MM. Do you have any suggestions? Rob, unfortunately, I’m not familiar with Garmin devices, but I know they (and other dedicated GPS devices) can be problematic when used with MM. My guess would be a file formatting difference that the Garmin doesn’t like. 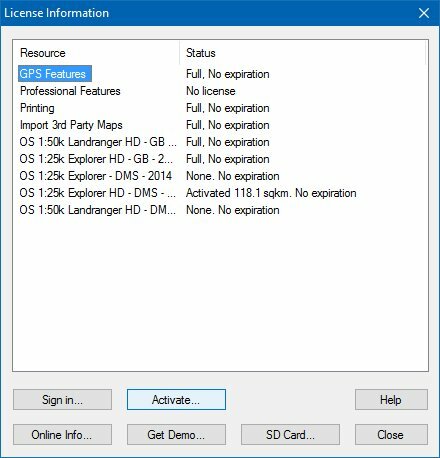 GPX is supposed to be an open-source file type, but it could be that the Garmin is expecting a different format to that provided. You could try GPSBabel, using it to translate the MMO file into Garmin format. Other than that, I don’t really have any suggestions, sorry. My question is if i upgrade to V5 can i move all my old tracks and routes to it, and if so how would i do that? It was a long, long time ago when I moved to MMv5, so memory fails me I’m afraid. However, I’m fairly certain that v5 will read v2004 files as it is backwards compatible. So if you install v5 and then import your v2004 files you should be OK. Your best bet may be to ask the same question on the MM Support Forum, which has a great response from other users and is also closely monitored by MM Staff. Be aware though that none of your maps will work in v5. I recently bought a mm but found there was not enough basic information on how to us it. If you have any specific questions please feel free to email them to me – or append to this post and I will try and answer them. I’ve been using it for many years now and find it absolutely invaluable. I’ve got MM Tracker working on my HTC Wildfire but I’ve yet to use it in anger so I can’t help yet. When I’ve got to grips with it I’ll see about sending you some info if nobody else gets there before me. Good post – I’ll be following the subsequent episodes. I notice from your topic-list that you’ll be covering working with the PDA version. Will you also be covering use of the MM Tracker Android app >>> http://sites.google.com/site/mmtrackerinfo/ ? I must admit I’d never heard of that product until you mentioned it. I don’t have an Android phone unfortunately, so that probably precludes me from testing it. I was considering including the MM iPhone app, but as it costs £20 and I refuse to pay that for a product I already own, that’s unlikely to make the list too. If anyone has MMTracker or MM on the iPhone and wants to submit a guide to me I will make sure it gets added.